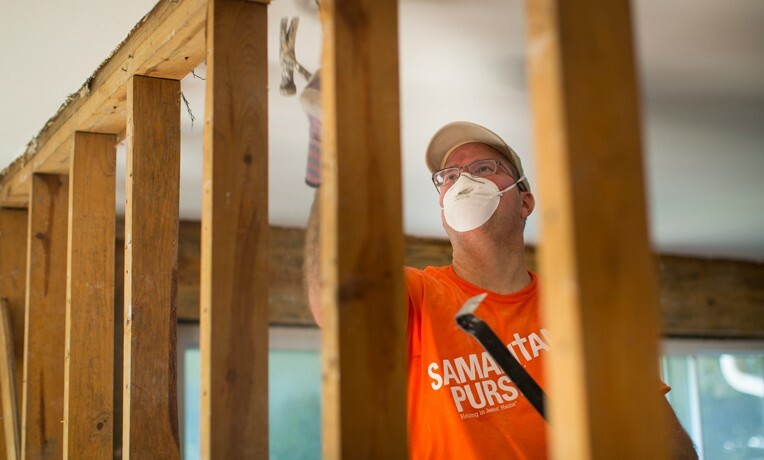 Samaritan’s Purse disaster relief efforts in Petal, Miss., came to a close March 8, leaving behind houses once again fit to live in, cleaner yards, and a renewed sense of hope for many victims. 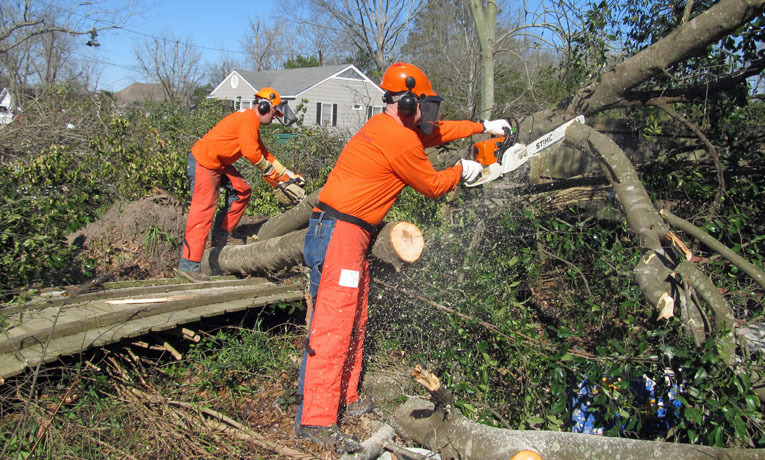 GiveWe responded to the tornado that swept through the Hattiesburg area on Feb. 10 by sending a Disaster Relief Unit from our North Carolina headquarters. Volunteers worked out of our base at Petal Harvey Baptist Church to help storm victims by cutting up and removing downed trees, clearing debris, and tarping damaged roofs. HELP COMES JUST IN TIME: A tornado victim in Mississippi sees the command to love your neighbor fulfilled by Samaritan’s Purse volunteers. 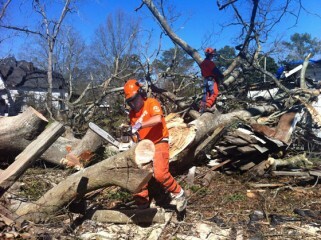 A total of 624 volunteers donated over 10,500 hours of their time to aid in the cleanup efforts, helping 225 homeowners affected by the disaster. Hundreds of lives were touched by the selflessness of Samaritan’s Purse volunteers. The love of God was proclaimed in word and deed by Samaritan’s Purse volunteers and chaplains from the Billy Graham Evangelistic Association Rapid Response team, and 62 people came to faith in Jesus Christ. Daniel Dykes was among the many storm victims helped by Samaritan’s Purse. The tornado that swept through his quiet neighborhood in Petal was gone in a matter of seconds. But those terrifying moments will forever be etched on his memory. Daniel was thankful his family survived. But when the winds stopped and he stepped outside his home, reality hit. The extent of the damage—and the work that would be required to repair it—was overwhelming. Within a couple of days of the storm, a Samaritan’s Purse damage assessor was in the neighborhood. When Daniel was asked if he needed assistance, he didn’t hesitate to say yes. “I could use all the help I can get,” he said. In one day, a team of volunteers hauled off the debris and cleaned up his yard. The team told him they were there because they wanted to let him know that God cares for all the storm victims. When the work was finished, the volunteers prayed with Daniel and presented him with a Bible. 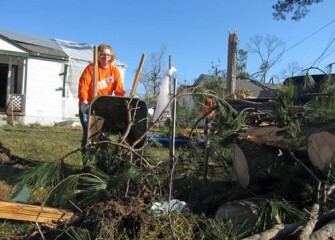 Our teams finished their work on Friday, March 8, and the Disaster Relief Unit left early the next morning.